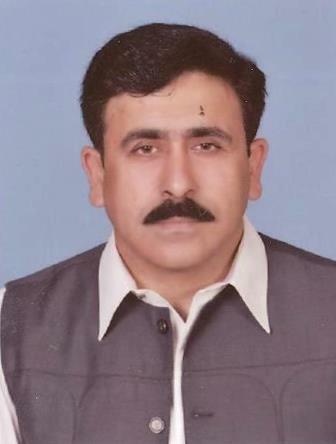 Khawaja Muhammad Waseem son of Khawaja Aman Ullah was born on April 17, 1969 at Narowal. His academic qualification is Intermediate. He is a businessman by profession but he started his political career from grass root level and was elected as Councillor of the Municipal Committee Narowal. Later on he was elected as Chairman of the Municipal Committee Narowal. He remained Tehsil Nazim Narowal for two consecutive terms. In the general elections 2018, he was re-elected as Member, Provincial Assembly of the Punjab. He remained MPA & functioned as Parliamentary Secretary for Cooperatives from 2017 to 2018. He has visited many foreign countries including Kingdom of Saudi Arabia, Hong Kong, Germany and Dubai. His wife, Mrs Samina Waseem remained Member, Provincial Assembly of the Punjab during 2008-13 and served as Chairperson, Standing Committee on Special Education. Jassar Bypass, Circular Road, Narowal.